A study recently published in The New England Journal of Medicine compares percutaneous coronary intervention (PCI) and coronary artery bypass grafting (CABG) for treating severe coronary artery disease. The study reports specific facts regarding each treatment’s results and potential side effects. 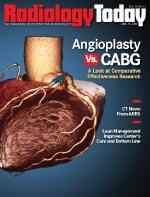 Most notable is that while CABG remains the standard of care for patients with left main and three-vessel coronary artery disease, patients undergoing the more invasive surgical option experienced a greater incidence of stroke than the noninvasive group. What the mixed results of the SYNTAX trial comparing PCI and CABG demonstrate is that there’s more than one way to treat a medical problem. Whether it’s reestablishing healthy blood flow or managing uterine pain, there isn’t always one conclusion for the best treatment method. The need to manage this medical conundrum is a main reason behind the creation of the Comparative Effectiveness Research (CER) Act of 2008, proposed legislation designed to make sure patients receive the most effective medical care for their condition. Comparative effectiveness research pulls information from clinical trials on the relative strengths and weaknesses of various medical procedures. It involves the evaluation of two different types of treatments or two different approaches to the same medical condition and reviews the effectiveness of both approaches. The results of these studies will be released publicly as a tool to educate physicians and patients as to the best treatment options for their medical conditions. Pamela K. Woodard, MD, head of advanced cardiac imaging (cardiac CT/MRI) at the Washington University School of Medicine in St. Louis, believes trials such as the PCI vs. CABG study are valuable in that they provide a window on how patients may react to different treatments. With that, she supports the intent of CER to formalize a trial process for determining the best treatment options for patients. However, as the results of the SYNTAX trial show, and from her experience in cardiac radiology, Woodard knows that no two patients are the same and that individual evaluation is important for determining the proper course of action. Woodard, who also serves as president of the North American Society for Cardiovascular Imaging, says you need to consider all possible outcomes and look at all potential endpoints for each individual when selecting a treatment plan. “You can then pick which potential adverse effects you want to deal with,” she says. In addition to treatment options and medical outcomes, the matter of healthcare costs is another factor in the CER debate. That’s where the White House steps in, as the American Recovery and Reinvestment Act of 2009, President Obama’s $787 billion stimulus package, provides more than $140 billion for healthcare, $1.1 billion of that for CER. The recovery act calls for division of that money among the National Institutes of Health (NIH), receiving $400 million; Health and Human Services (HHS), receiving $400 million; and the Agency for Healthcare Research and Quality, receiving $300 million. In addition to funding CER, the recovery act calls for the creation of the Federal Coordinating Council for Comparative Effectiveness Research, intended to help oversee studies and guide investments detailed in CER. The 15-member council is comprised of government officials from the Centers for Disease Control and Prevention, the Centers for Medicare & Medicaid Services, the NIH, HHS, and other healthcare-related agencies. Council members heard public comment during three hearings in April and May, including concerns about how the costs of various treatments could affect healthcare and coverage decisions. One person watching CER’s progress through Washington is former six-term California congressman Tony Coelho, who is now chairman of the Partnership to Improve Patient Care (PIPC). Coelho was a primary author of the Americans With Disabilities Act and, in his patient advocacy role, speaks from his experiences as someone with epilepsy. He says the PIPC does not oppose the concept of comparative effectiveness, but there is some concern that clinical trials such as SYNTAX could lead to “cookie-cutter” medicine. Coelho believes the intended result of implementing CER is to provide better healthcare and reduce healthcare costs. In keeping with the legislation, the council will not recommend clinical guidelines for payment, coverage, or treatment. Its intent is to consider the needs of populations served by federal programs and opportunities to build and expand on current investments and priorities. It will also provide input on priorities for the $400 million fund in the recovery act that the HHS secretary will allocate to advance this type of research. Reports recommending priorities for CER are expected to be released later this month. Treatment for coronary artery disease is generally cited as a priority medical condition under consideration for CER. Historically, CABG is the treatment of choice for complex coronary artery disease. This open-heart procedure requires that the patient be kept alive with a heart-lung machine while arteries or veins from other parts of the body are used to build a vascular detour around blockages and to the aorta. According to the American Heart Association, a total of 694,000 open-heart procedures were performed in 2006 in the United States. Of that number, 65% were bypass surgeries for cardiac revascularization. The less-invasive PCI, or angioplasty, is gaining in usage for revascularization. A catheter with a balloon-tipped tube is inserted into an artery in the groin, then continues in to the point where the blockage exists. The balloon is then expanded to compress the plaque and widen the narrowed artery. Sometimes, a wire mesh stent is inserted to keep the artery open. That stent can also be medically treated to assist with maintaining the revascularization. In the SYNTAX clinical trial, a comparison was done of PCI using Boston Scientific’s TAXUS Express2 Paclitaxel-Eluting Coronary Stent System and CABG. Boston Scientific Corporation funded this international trial, which involved 1,800 previously untreated patients with three-vessel or left main coronary artery disease randomly assigned to either revascularization with CABG or PCI with the drug-eluting stents. Patients were examined by a local cardiac surgeon and an interventional cardiologist, who each determined that equal revascularization could be achieved with either treatment. The primary end point of the 12-month study for each group was a major adverse cardiac or cerebrovascular event, including death from any cause, stroke, myocardial infarction (MI), or repeat revascularization. In the end, rates of major adverse events were significantly higher in the PCI group, at 18% as opposed to 12% for CABG, due in large part to an increased rate of repeat revascularization of 14% vs. 6%. However, the rate of stroke was significantly higher with CABG, at 2% vs. 0.6% with PCI. Rates of death and MI were similar between the two groups. Overall, the study found that CABG remains the standard of care for patients with three-vessel or left main coronary artery disease, since this medical option resulted in lower rates of the combined end point major adverse events in one year. In addition, 63% of CABG patients had complete revascularization after their procedure, while only 57% of PCI patients did. It’s at this point that the study compares CABG with the increase in the rate of repeat revascularization with PCI, saying that the difference does not appear to translate into a significant overall increase in the rate of death or MI. However, it does bring into question other risk factors. “The risk of repeat revascularization after PCI needs to be balanced against the invasiveness of CABG and the risk of stroke,” the study noted. Also noted in the study, the primary end point was driven by an increased need for revascularization in the PCI group. In addition, the CABG group experienced a nearly 2% higher incidence of stroke over the PCI group. One factor Woodard believes was handled well in the SYNTAX trial is the matter of funding coming from Boston Scientific. The appearance of trial funding influencing results could be an issue with CER down the road. Quality of life is another factor in the CER analysis. Part of the decision-making process for the patient and the physician should include individual desires regarding potential outcomes. Some patients may prefer knowing there’s a possibility they may need another PCI to reopen a blocked artery within the next five years rather than accept a higher risk of stroke. Or their condition may be such that the risk of a stroke is greater, and PCI is their best alternative. There are times where more than one imaging modality may provide the same outcome, Woodard notes. One example is cardiac MRI. When asked for a value and flow assessment, the question is which modality is better—the ultrasound of an echocardiogram or an MRI? According to Woodard, the echocardiogram is better in most patients, but it may be just as good to measure flow with MRI. Another quality-of-life aspect is the amount of preprocedure and postprocedure time involved in each method of revascularization. In the SYNTAX trial, PCI required approximately 12 to 14.5 days of the patients’ time. In contrast, CABG patients required 30 to 37 days. As the debate continues, everything from healthcare costs to quality of life will remain on the table when it comes to deciding what role CER will play in establishing appropriateness guidelines for patient care.